Cool! That must have hurt! I had an IV in the top of my hand once and the pain made me want to vomit. I don’t think I would be tough enough to get a tattoo on my hand. That’s gorgeous, Mike! 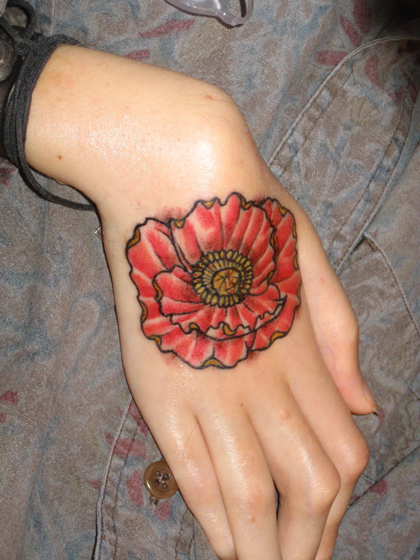 I’m not usually a fan of colored tattoos, but I LOVE the color on this one.